Artist I am not. That may be the understatement of the century. I cannot draw a straight line even with a ruler. Still, I very much appreciate art and I have quite a few friends who are artists so I thought I'd give this one a read through. 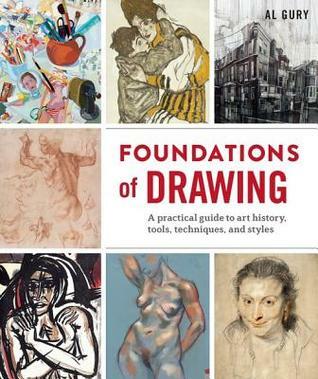 This book is perfect for those who aren't looking for a how to draw book. 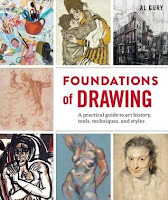 This book combines the history of drawing with drawing techniques. I especially appreciated the section on drawing materials. As someone who scrapbooks and colors in coloring books, it was information that I could use even if I never try to draw another sad little stick figure. I always appreciate books that have information that I can adapt to whatever it is that I'm doing. So, if you're looking for a book that's jam packed with information, I'm sure you'll enjoy this book. As for me, I'm going to find an art lover to pass it on to because knowledge and art should be shared.